Balancing technology, the environment and entertainment, Equinox Festival brings sustainability efforts to campus. The Equinox is the point of the year when daytime and nighttime are exactly the same length. The day of celestial balance marks how society should strive to level the scales between our wants and our ecological needs. The Office of Sustainability in partnership with Texas Sustainable Energy Research Institute (TSERI) will be putting together a festival embodying this balance. The Texas Sustainable Energy Research Institute works to position San Antonio as a significant contributor to the 21st century global energy economy. 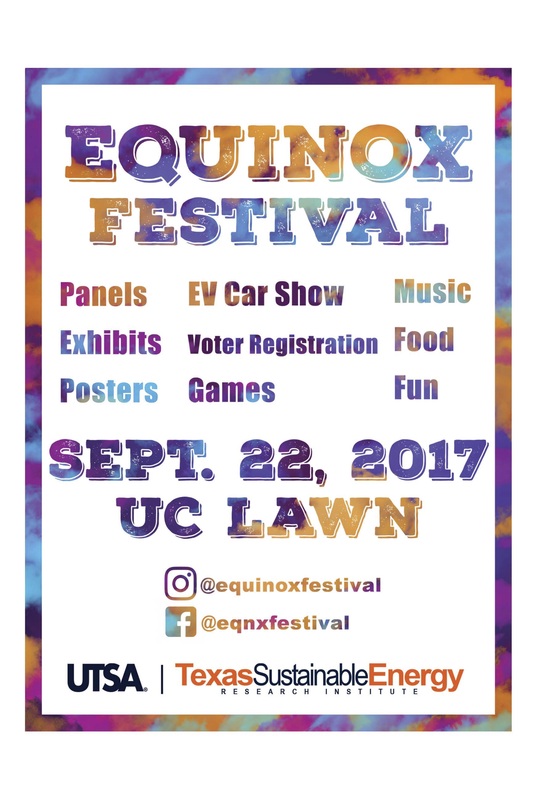 The second annual Equinox Festival will take place on Friday, September 22 at the UC lawn in order to showcase the sustainable solutions the University of Texas at San Antonio and the City of San Antonio have come up with in a free day full of food, fun and music. 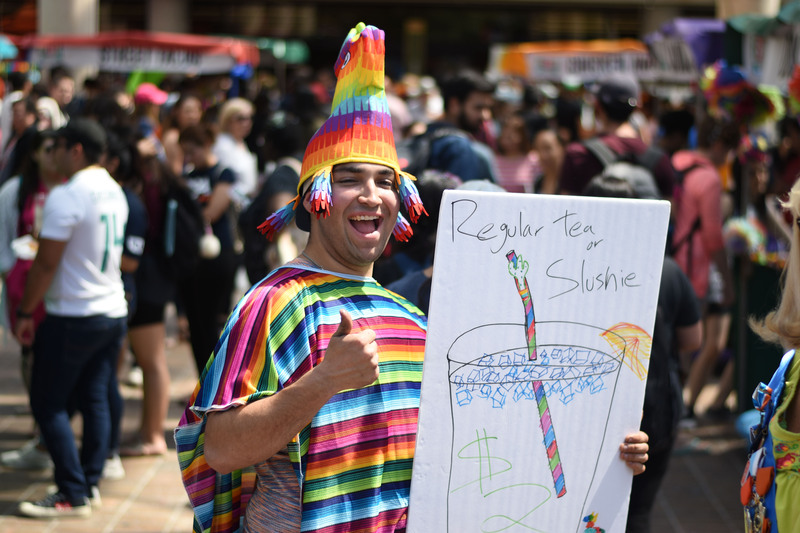 Last year’s festival brought in about 500 attendees; this year’s fest anticipates about 6,000 attendees according to Alex Treviño, co-founder of the event and researcher for the TSERI. “The growth from last year is exponential,” Treviño said, “The caliber of the speakers and the amount of student organizations we’ll have tabling has increased dramatically,” said Treviño. Many high power CEOs across different industries and important public officials will be in attendance as well. 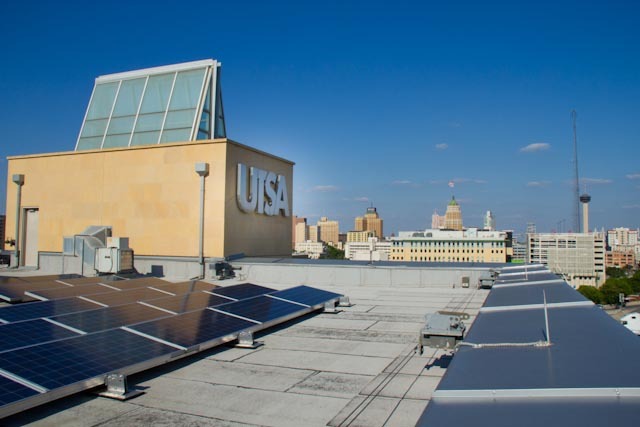 “We’re accepting a 1.4 million dollar grant from CPS, the utility company here in San Antonio.” This money will help continue research at the TSERI and help students at UTSA to make a societal impact. Along with the various movers and shakers in attendance, panels will be held to educate and inform attendees on sustainability efforts. These panels will focus on technology’s hand in sustainability: electric vehicles, mass transportation systems, battery systems and funding energy technology research. The water panel will include SAWS, the Edwards Aquifer and the San Antonio River Authority. The leadership panel will include UTSA’s President Eighmy, Mayor Nirenberg and CEO of CPS, Paula Gold-Williams. VIA and UTSA Transportation Services will cover the transportation panel. These panels are key as they will highlight the sustainability of our infrastructure but also the sustainability of keeping San Antonio sustainable by keeping students, research and jobs within the city. Among these highlights is Velox Racing, a student organization comprised of mechanical and electrical engineering majors working together to build a Formula SAE electric race car. Equinox Festival will also host a car show on the roof of the Ximenez parking garage. Games, booths and prizes will be present to keep the day entertaining and informative. “We’re trying to invite everyone. There is no excuse not to be here,” said Treviño. This festival geared toward optimistic change by what Treviño wants the attendees of his event to understand. On the day of balance that is the equinox, Equinox Festival should inspire those moving to a cleaner, more efficient and greener world so we can get back in balance with our planet.